LECO offers all the consumables you need for your LECO instrumentation, including reference materials, reagents, spare parts, ceramics, glassware, and standards. View new items and current specials. Contact LECO or the sales engineer you purchased your instrument from. 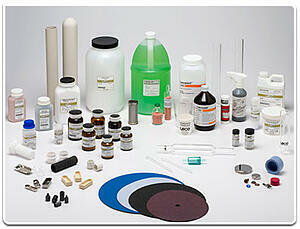 You can email us at sales@leco.com or call our Consumables Hotline at 1-800-292-6141. *www.lecodirect.com is currently a separate website that requires a unique account set-up with its own username and password separate from www.leco.com. To set-up an account to enable online ordering, click here. Contact the LECO office, distributor, or sales engineer you purchased your instrument from , or email us at sales@leco.com. Read more: Visit Us at CastExpo! Come Meet Us on the Road—Quality Assurance and Safety Seminar Series! Read more: Come Meet Us on the Road—Quality Assurance and Safety Seminar Series! How can combustion method be optimized to accommodate lower-level nitrogen samples in food materials? Read more: How can combustion method be optimized to accommodate lower-level nitrogen samples in food materials? LECO Corporation wrapped up 2018 by celebrating the opening of its new Customer Experience Center and introducing customers to its new customer-focus brand experience. Don't Miss Our Webinar—"GCxGC With Flow Modulation: A Simple Approach to Resolving Complex Mixtures"
Read more: Don't Miss Our Webinar—"GCxGC With Flow Modulation: A Simple Approach to Resolving Complex Mixtures"
Based in the US, LECO has over 25 international subsidiaries and distributors authorized to sell and service LECO products worldwide.